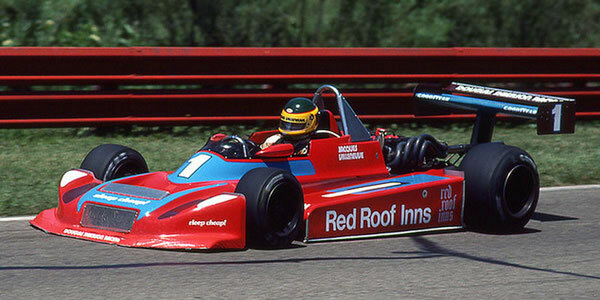 Reigning champion Jacques Villeneuve stayed in Formula Atlantic for 1981 and romped to another title in the Doug Shierson Racing March 81A. He dominated the first half of the season beaten only by a guest appearance from Can-Am star Geoff Brabham at Long Beach. Nobody offered any concerted opposition but Rogelio Rodriguez in the Lane Sports Ralt amassed enough points from top six finishes to pip Witney Ganz' Terry Karges-run Ralt for third in the title race. Despite it being March's championship, Ralts were now numerically dominant. Of 195 recorded starts in the 1981 series, 90 were in Marchs and 100 in Ralts. The other five comprised an Argo JM5, a Chevron B45, the Hayashi 220A, the Johnston Jm3 and a Magnum FA81A. Furthermore, 65 of those Ralts starts were in brand new RT4/81s, compared with only 36 in the latest March 81As. Was this the final chapter in March's long dominance of Formula Atlantic?